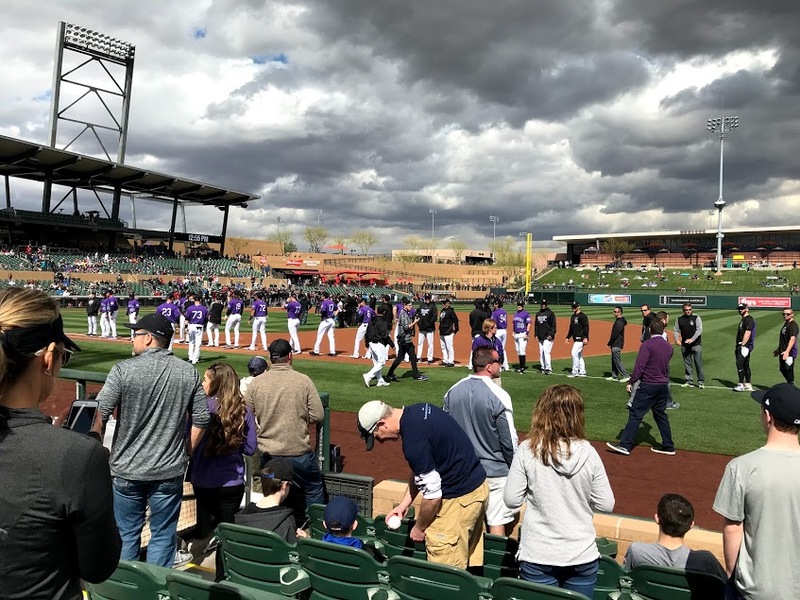 Despite the fact that the temperature was only in the 50s and it was mostly cloudy, and despite the fact that the Rockies lost to the Diamondbacks 7-5 when they had been ahead 4-1 at one point, the opening game of the Spring Training season was yesterday, and the fact that Bill and I were among those watching the action made me smile. After all, it was the first game and they were out of practice. Some of the boys looked about the age of our grandson Alastair and you could still smell the farm league on their clothing. And though the weather was not perfect, there was no wind and when the sun would poke out from the clouds, it was extremely pleasant. And a beer at a ballpark tastes good in any season…..
Our seats were tremendous, only six rows up from first base. We saw lots of foul balls head our direction. In fact, one thing that didn’t make me smile was that one of the balls whizzed past us at an amazingly high clip, and hit a woman not 50 feet from me right in the face. Not good. The medical squad appeared quickly, and she was walked out looking like she had no black eyes, but maybe a broken nose and perhaps some missing teeth. I suggested to Bill that maybe those seats weren’t the best choice after all. 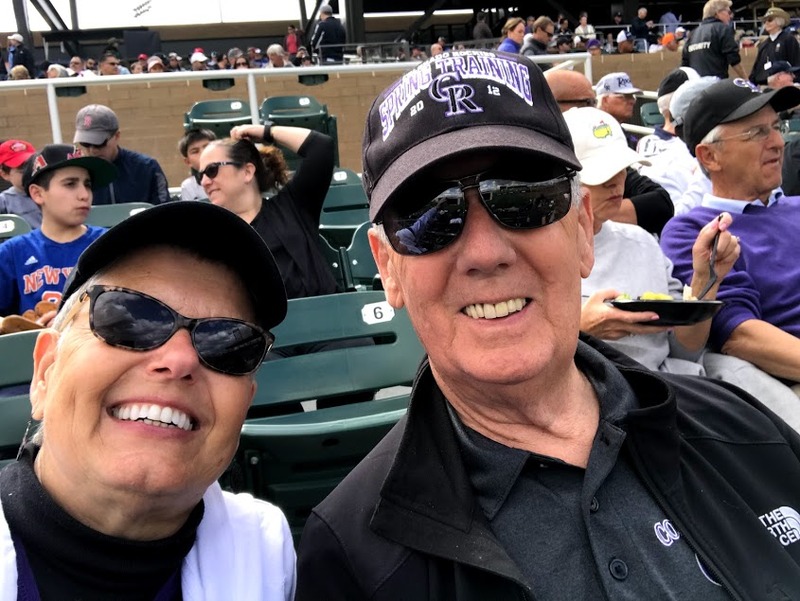 Nothing says welcome spring like the start of Spring Training, and it made me smile (despite the fact that I still take the world’s worst selfies)…..
I’m always worried about getting hit by a foul ball. Especially since I’m not always paying attention. Glad the injury didn’t appear too serious. I will admit it was somewhat disconcerting….